LOCATION and CONVENIENCE 1.5 miles to I-75. Short drive to SunTrust Park, The Battery, Marietta Square, or shopping. Enjoy the outdoors from your deck or backyard overlooking a babbling creek. Updated kitchen with granite counter-tops. Fabulous master bath with tile floors, frame-less shower, granite counter-tops, and private water closet. Plantation shutters in master bath and living room. 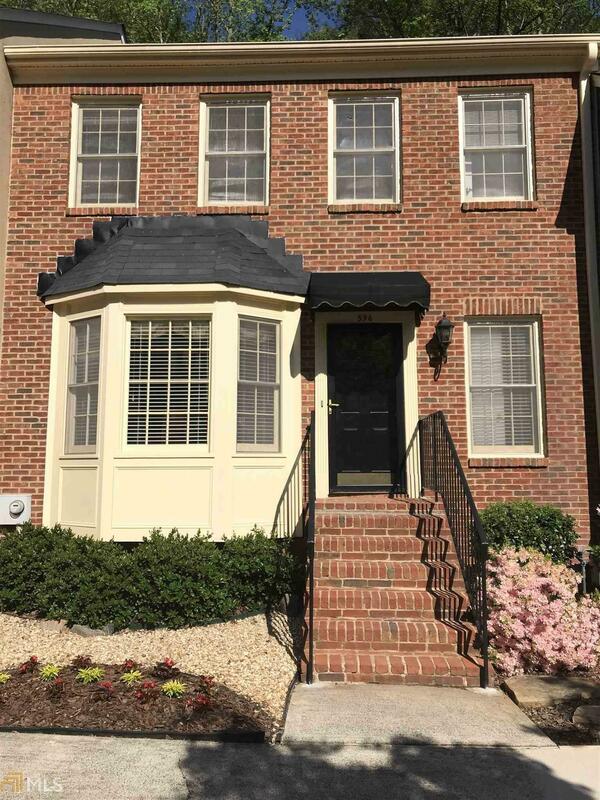 Don&apos;t miss this move-in ready, brick front townhome in sought after East Cobb! Directions: Use Gps For Easy Navigation.